If you thought you’ve seen Colleen and Steven Paluba around town recently you were correct. They are back and on a new Adventure! 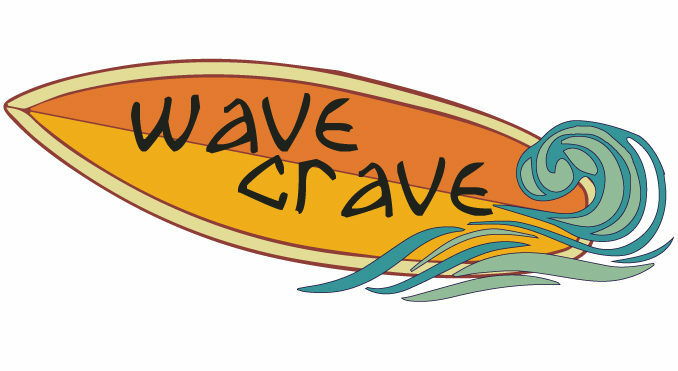 After 9 years at the Terrace, then moving on to start -up and being Chef at Tauk @Trails End, they’re journey has landed them at the WAVE CRAVE! 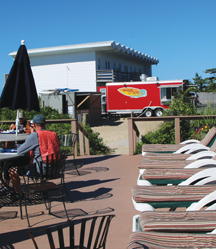 The Wave Crave is a food truck parked at the bottom of Wavecrest on the old highway- with a covered picnic area and a view of the beach that will take your breath away. 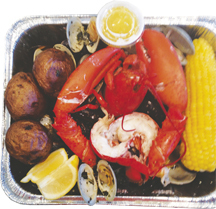 They’ve been busy creating their signature Breakfast and Lunch specialties every day from 8am-4pm, and of course the Lobster Bake is back too! Hungry? 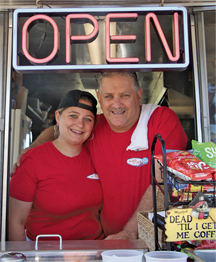 Stop by for quickly prepared, quality breakfast; smoothies, wraps, sandwiches, pancakes, and even French toast. Lunch treats include wraps, sandwiches, burgers, salads, quesadillas and a ‘little bites’ menu for the little ones. Don’t forget the world famous “Colleen’s Downtown Philly Cheese Steak”! Everything is delicious, generously portioned, and made fresh daily. In addition to lobster bakes, with advanced notice he offers steak or roasted chicken dinners. Chef Steven Marc is also available as a personal chef and/or for off-season catering. 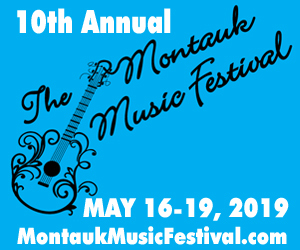 For information, or to order a lobster bake call Steve at 631-483-5929. 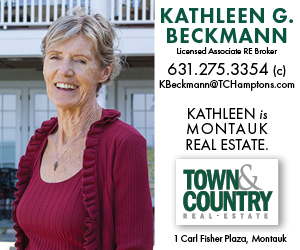 They are located at 170 old Montauk Hwy., The Wavecrest, between Gurney’s and Hither Hills Campground. Free Nest Thermostats… Helping Your Wallet & The Environment!